Switzerland holds numerous world records. From the longest pedestrian suspension bridge to the steepest cogwheel train. Many of these records are set with the purpose of delighting adventurous tourists and promoting the flow of money into local economies. That is the general picture, of course, and like many such generalizations, there are exceptions. Nidwalden happens to be one of those. 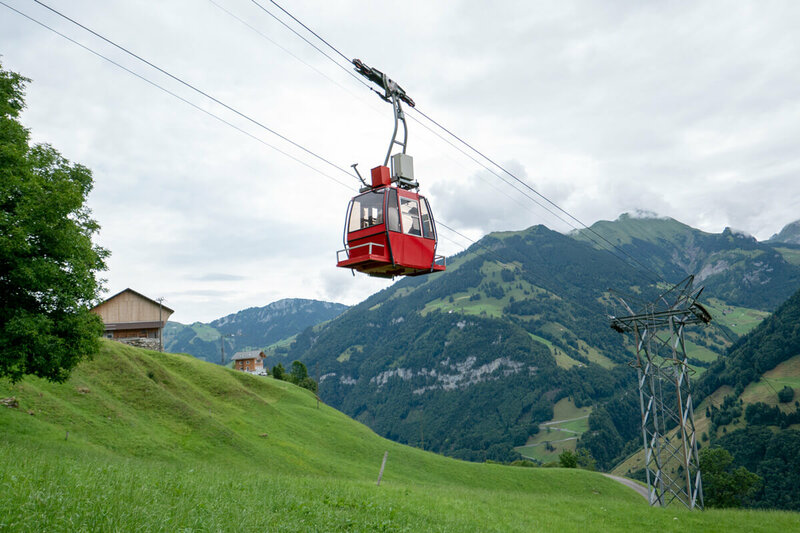 The canton of Nidwalden, in the center of Switzerland, has more cable cars per capita than any other place on earth. 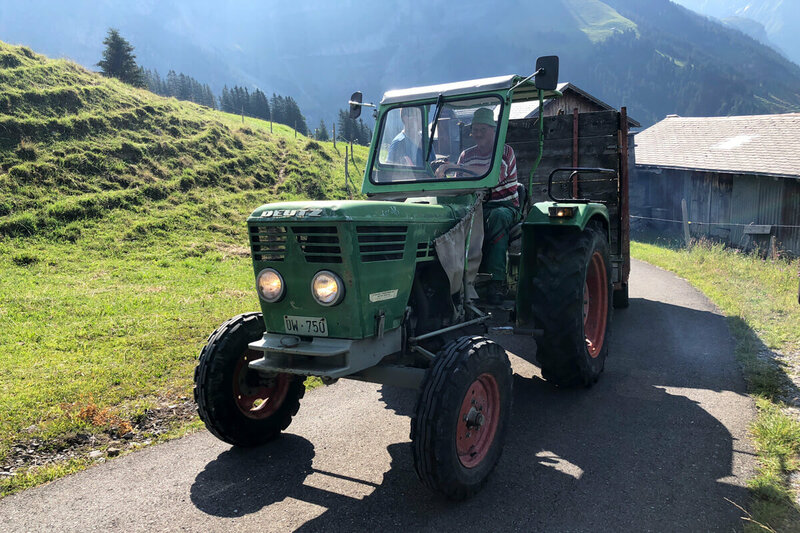 Unlike the cable car to the top of Schilthorn or the one across the Thames River in London, these cable cars are there for farmers. Yes, that's correct: these are small, independently owned cable cars that give alpine farmers easy access to the valley floor. 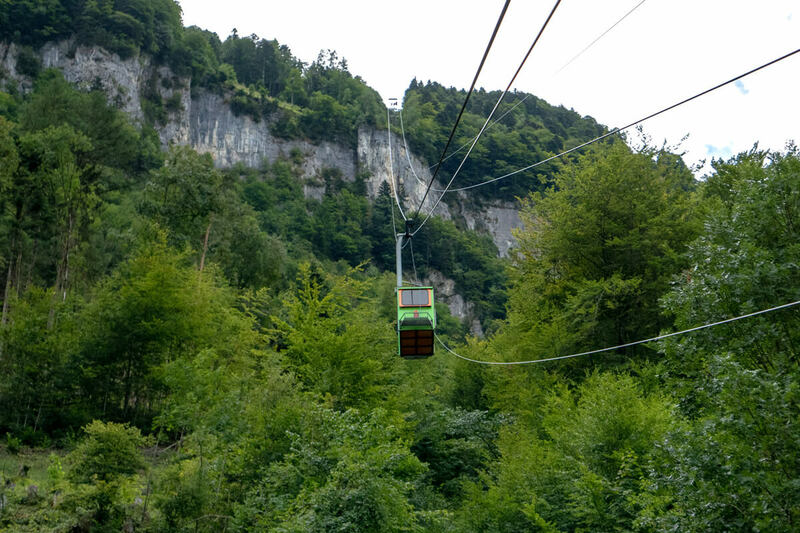 There are 46 of these little gondolas that often have a maximum capacity of just four people, allowing the rider to operate the cable car herself. And yes, you have read it correctly: you will get to operate the cable car! While you can embark on most cable cars for as little as 5 franc per person/per ride, my recommendation is to go all in. 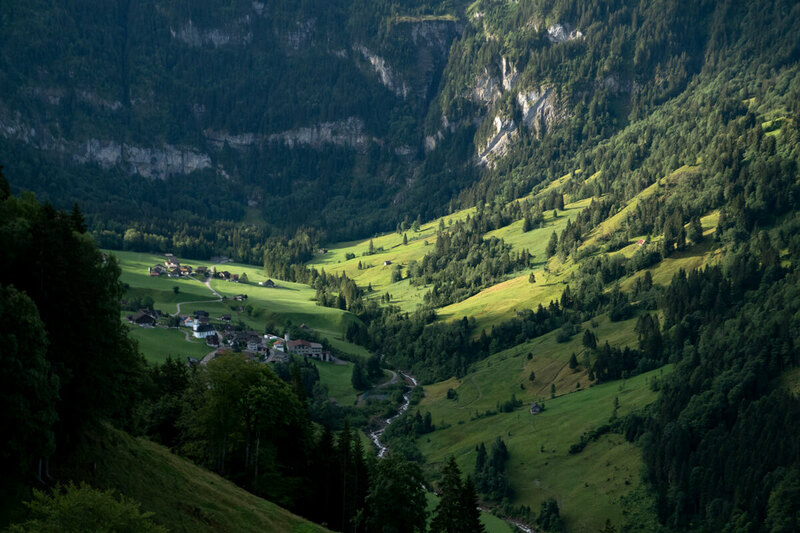 The so-called Buiräbähnli Safari is a two to three day hike along the mountains that create the Engelberg Valley below. Along the way, you will get to ride a number of Buiräbähnli (farmer cable cars) that were originally commissioned from the 1920s to the 1940s. Their purpose was to make mountain farming easier. 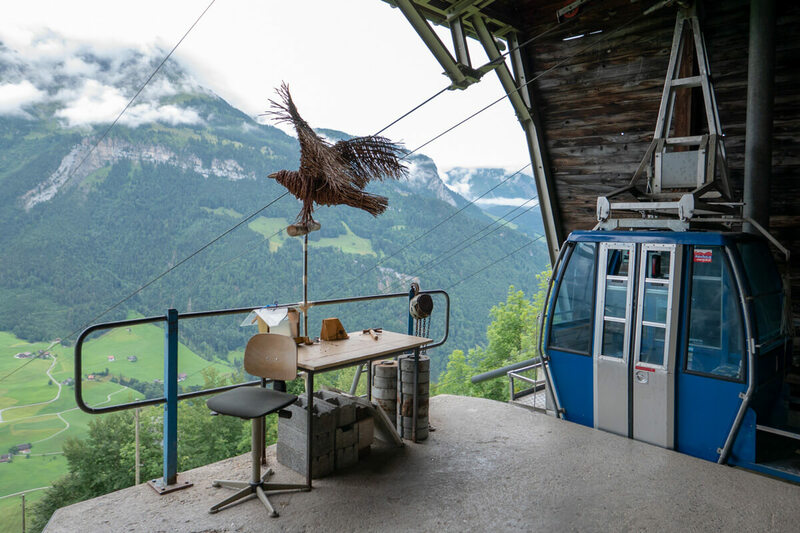 In essence, these cable cars were regarded as a high-tech solution to the needs of Switzerland's alpine farming community. 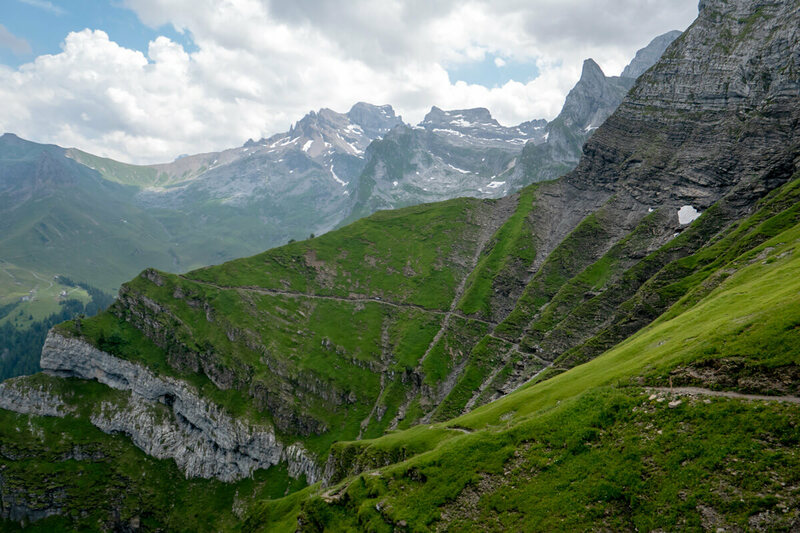 The hike is approximately 46 kilometers with start and end at the Engelberg train station. 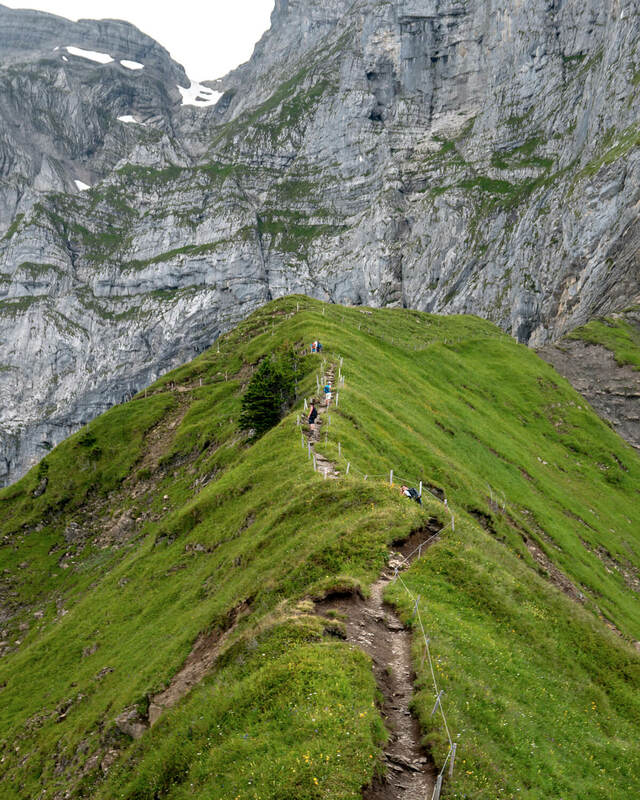 Engelberg Tourism classifies the trail as one for experienced hikers with technical segments that are not for the faint of heart. 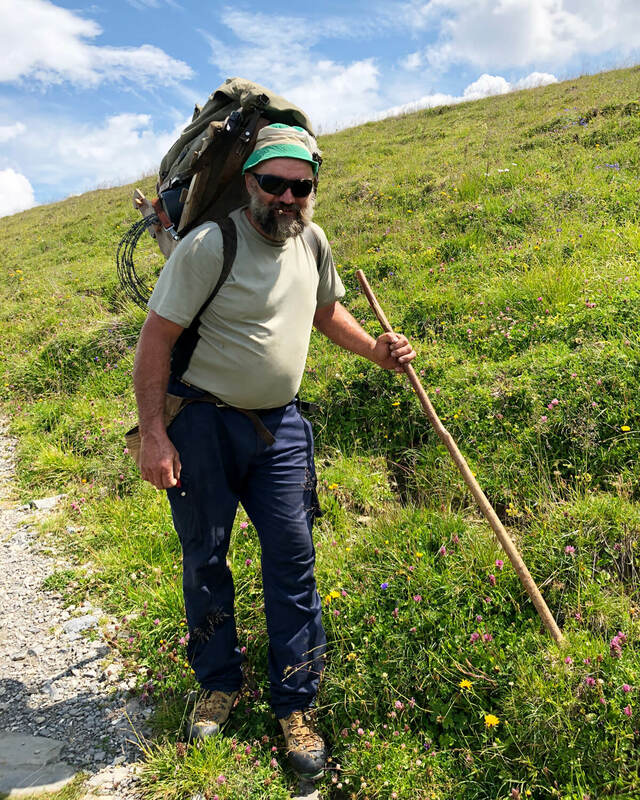 Having been on the Buiräbähnli Safari and walking along some of the ridges, I must say that there are parts where inexperienced hikers may feel intimidated. Narrow paths and steep drop-offs aside, the trails are well maintained and excellently marked. There are many places to stop for a drink or a meal. And if you are lucky enough, like I was, you might even see a herd of chamois. Apart from the stunning scenery and the exhilarating cable car rides, the people we encountered along the way made for fabulous memories. What would a hike past alpine farms be like if you did not meet any farmers? We met farmers mending fences, repairing paths, working the farm and hosting guests. 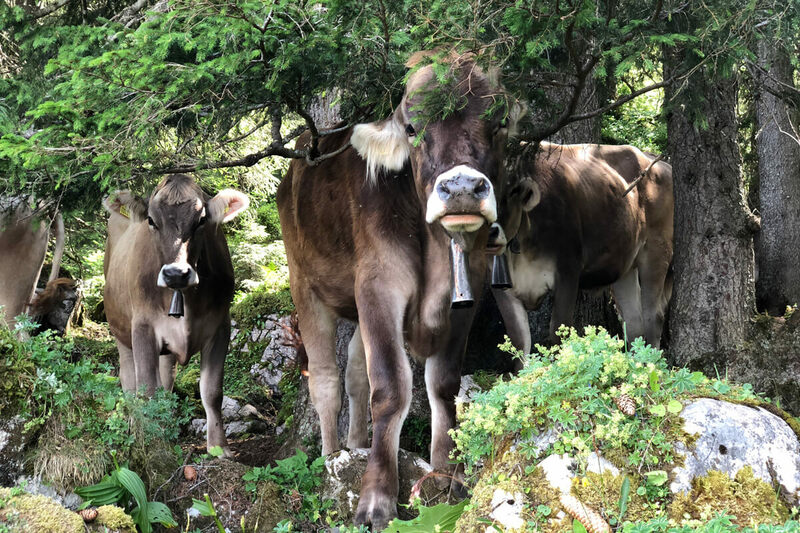 Along the route, you will get insights into what Alpine farming entails. One of the most remarkable people I have met was Linda Schmitter. Here at Brändlen, her parents run a farm with a house where hikers can spend the night. After spending some time in the "city" (Luzern), Linda decided that she belonged in the mountains. So she took over one of the cabins her family owned to run an alpine bed and breakfast. For Linda, this was not merely escapism from the mundanity of urban living, but a challenge. She applied all her business knowledge, took courses in online marketing and came up with a way to turn the Chrüzhütte Bannalp into a tourist destination. She changed the pricing structure and started sourcing local ingredients for breakfast. She created special offers for honeymooners and families on lower budgets. Moreover, she got on Instagram to advertise. In my opinion, the results are not remarkable, but a testament to modern thinking and valuable business creation. A stay here is definitely on my Swiss bucket list. However, until I make it back, the fond memories of sitting with friends, enjoying one of Linda's coffees, will have to suffice. 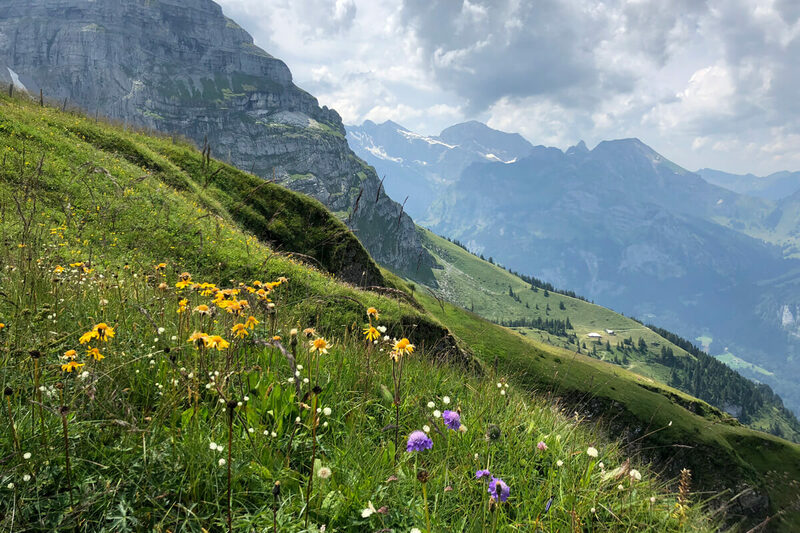 Anyone looking to discover another side to the peaceful area of Engelberg would be well advised to plan a trip along the Buiräbähnli Safari route. 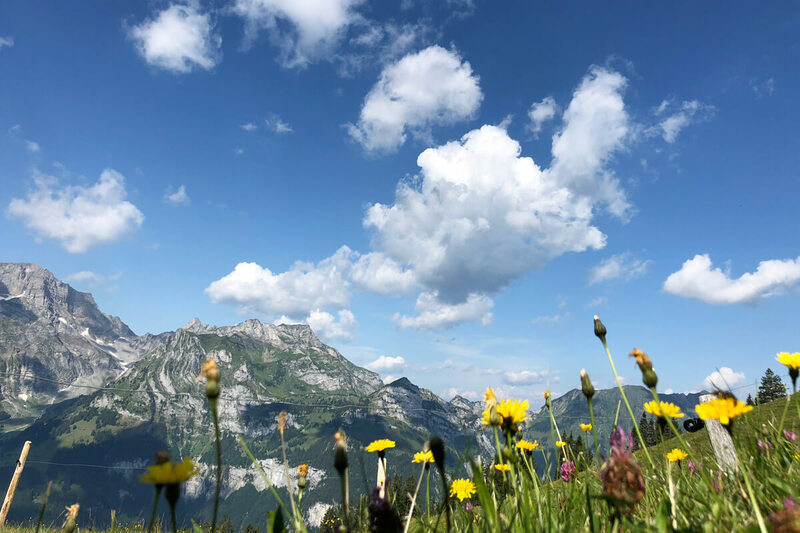 You will get to witness Alpine farming up close, and you will travel in unique cable cars the way you have never done before!